A sensor network consists of multiple detection stations called sensor nodes, each of which is small, lightweight and portable. Every sensor node is compact and doing task of the sensing, processing, etc. The implementation of monitoring of environment is hard task. This Sensor applications are to be implemented in multiple fields such as smart power grids, smart buildings and smart industrial process control significantly contribute to more efficient use of resources, Each node has sensor interfacing with signal conditioning and processing unit such as MSP430G2553 ultra low power device. The interfacing of the temperature sensors to MSP430 ICs on all nodes and light dependent resister to source and destination node. Destination node is assembled with 16*2 LCD display to get the values continuously on the display module. Continuous monitoring of all the nodes and observation is done on Master Computer. This operating system is designed to work on Windows 7. Ravi P Athawale, J G Rana. "Wireless Sensor Network Based Envoronmental Temparature Monitoring System." 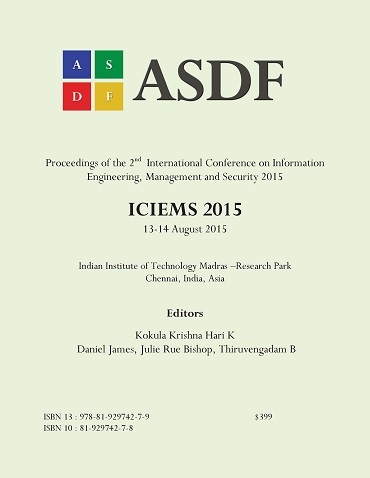 International Conference on Information Engineering, Management and Security (2015): 86-91. Print.